I absolutely love face scrubs, I love the fact that you feel like your whole face has been scrubbed clean of all the debris and dirt! Which is why usually I always feel that the more grainy or abrasive they are then the better they are – you would think so no? 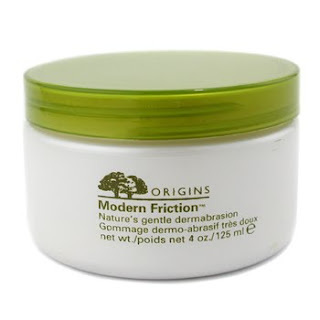 However for the last few weeks whilst working on my face overhaul I have found that all my grainy and chemical based scrubs have made my face feel a tad bit sensitive and more than a little sand blasted, which was how I found myself agreeing to buy and try out Origins Modern Friction, and what can I say I have been converted to the more smooth and less grain school of thought!